Eager to write a new racquet review, I asked my friend Marla at City Racquet Shop for “Hot” racquet ideas. She suggested I take a look at the Tour Pro 98 and the Tour 98 ESP, two new racquets from Prince that have gotten a ton of buzz from tennis publications. The Tour Pro is for players seeking control, while the Tour ESP is for those seeking more spin. Do they succeed in those goals? The short answer is yes. I’ve never owned a Prince racquet, but that might change after three straight wins in tough doubles play during my test hit. If I were to toss aside my beloved HEAD Speed MP 315’s, the Tour Pro 98 would be at the top on my short list of replacements. Though it initially felt a little heavy to me, I immediately started hitting balls deep into the corners with ease on both my forehand and backhand wings. The Prince website states that this racquet is “precision and control amplified” and, for the most part, I’d have to agree. Here’s my rundown of the many pros (and a few cons) for the Tour Pro 98. I liked this racquet from the very first ball strike. Simply put, the ball goes exactly where you want it to go if hit cleanly. One of my first shots was a blazing backhand down-the-line return that got everyone’s attention. The same was true of a forehand return that left a smoke trail as it split the defenders on the other side. Feeling cocky, I tried to add extra “oomph” on later returns and quickly realized this racquet’s limitations. It’s great for easy power, clean ball strikes, and shot accuracy. But unlike its’ sibling the Prince Tour 98 ESP, it’s not so great for topspin. Net clearance wasn’t as high as I’m used to with my current Speed MP 315, or as high as needed for the best depth of shot. This led to problems (i.e. sending the ball to the back fence) when I tried to attack shots with added pace. It wasn’t insurmountable, but definitely took away from the racquet’s comfort factor as the set got tight. But those problems with pace/topspin aside, I still felt confident enough with my ground strokes to impose my game; even when facing break points. And that says a lot! Serving with the Tour Pro 98 was solid, but not spectacular. (For the record, I look for spectacular since my serve is one of the best parts of my game.) My current racquet allows me to go for big bombs or slices out wide/up the T with relative ease. The Tour 98 wasn’t quite as versatile. Serves also suffered from the same “how much is too much” problem as my groundstrokes, with all attempts to inject extra pace resulting in bad misses. I’m not saying that I served badly, because I didn’t. I served competently and was only broken once in the very first service game with it. But in tight situations when I need to lay down my best serve, it would be best not having to worry about hitting the baseline instead of the service line. Volleys were the tough with this racquet. I had “no feel” at the net. Maybe if I had better hands or better volley technique, it would have been okay. But I only have “okay” hands and not the best technique. This resulted in bricked volleys, or volleys that sailed beyond the baseline. That’s okay for singles where you can make a choice to stay back. But it’s not so great for high-level doubles play which requires good volleys. 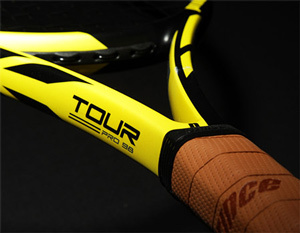 The Tour Pro 98 is a great racquet that allowed me to hit the strong, deep ground strokes that I love. However, it didn’t allow me to hit with as much topspin as I would have liked (which limited the amount of pace I could put on my shots). Its’ effect on my serve was okay, but I’d need some time to figure out how best to make it as versatile as I’d like. Lastly, volleys weren’t great, but that’s not a huge deal-breaker since I’m primarily a baseliner! Could I make this racquet workable? Absolutely! The positives aspects of this racquet on my ground strokes are plenty, and the not-so-positives (serves and volleys) are workable. It’s not a perfect fit, but few racquets are. This stick gave me solid strokes and great control. Overall, I can’t think of a better foundation to start with for any racquet. Tennis publications really LOVE the Tour 98 ESP! Tennis Head Magazine in the UK awarded it “Best for Power”, and it was awarded “Best Spin Racket” by Tennis Magazine. 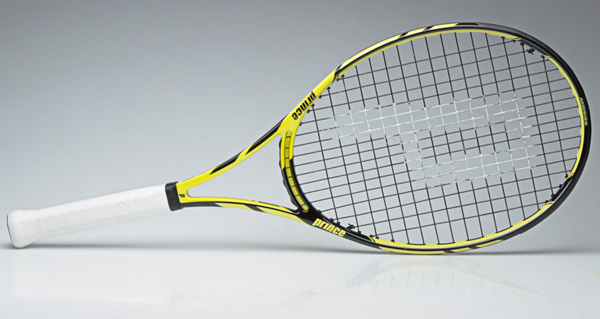 The ESP in this racquet’s name stands for “extreme string pattern”. Though I’m not sure I’d classify anything about this racquet as extreme, it’s an excellent choice for someone whose game responds well to an open string pattern. But since there’s more to life than spin, here are my observations on some of the other strengths and weaknesses of this award-winning frame. Some players need more spin on their strokes. However, I’m not one of them. My natural stroke (on both sides) provides all the topspin I need. So when that stroke production is coupled with an open string pattern such as that on the Tour 98 ESP, the effect is generally an overall loss of control on my strokes. Ball control was a little too “hit or miss” for my tastes. This was particularly jarring after having just hit with the Prince Tour Pro 98, an excellent control racquet. It gave my forehand decent spin, but minimal accuracy. The same was true with respect to my backhand. The overall result was an increased tendency to play balls down the middle rather than risk unforced errors by going towards the sidelines. It’s a safe strategy, but not always an effective one against better players. The racquet only paid dividends when I began to swing for the rafters on both sides. The injection of racquet head speed helped with both spin and depth of shot. Backhand slices were unremarkable, but mostly because of the racquet’s low power. A full swing (and deep knee bend) was still necessary to get the proper depth and spin on the shot. I won my final set of the day with a second serve ace to the ad court on set point. While hitting the serve, I honestly had no idea where it was going to land. Therein lays the problem with the Tour 98 ESP. I served competently, but with not much sense of control over ball direction. I struggled to move the serve sufficiently around the box, and also struggled to inject pace without sending the ball to the bottom of the net. And then an unexpected ace or service winner would come flying off my racquet. Frankly, it was a little maddening. I need to know that I can rely on my serve to bail me out of trouble. I didn’t get the opportunity to hit many during set play, so I spent a chunk of time afterwards focused solely on volley feel and placement. Surprisingly, and in stark contrast to my ground game, I had great control on both my forehand and backhand volleys. It was easy to punch volleys deep, drop them short, or change direction on the ball with negligible ball impact. Thumbs up! The open string pattern of the Tour 98 ESP poses a challenge for someone like me who already hits with spin. My winning efforts notwithstanding, spin without control isn’t the best combination for tennis success. Serves were effective, but unpredictable. 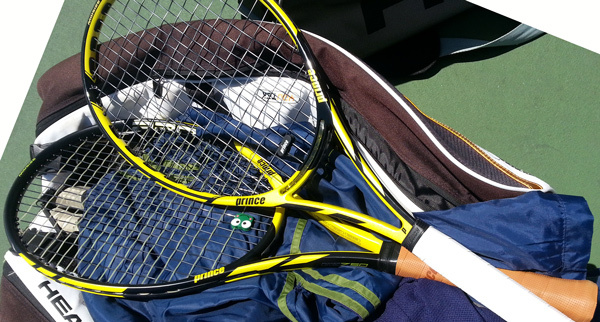 And surprisingly, the best aspect of this racquet was increased control and feel on my volleys. And unfortunately, that’s not terribly important for someone who’s more of a baseliner. In order to get a truer read on this racquet, I asked one of my buddies who possesses a flatter stroke to hit with it. His impressions were much more along the lines of what one would expect. It effectively gave him increased spin, and allowed him to go for more pace on his shots. He didn’t get a chance to play points with it, but was fairly positive about the time he did spend with it. 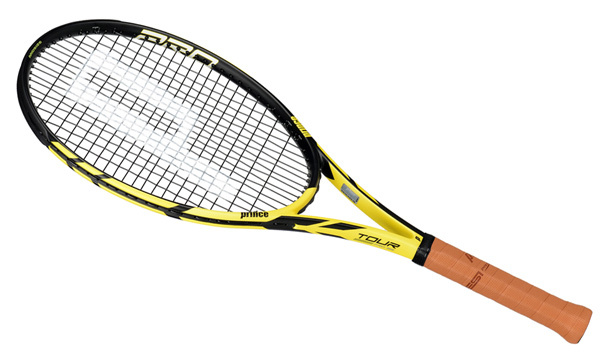 The Tour 98 ESP is a fine racquet, but it’s not for everyone. 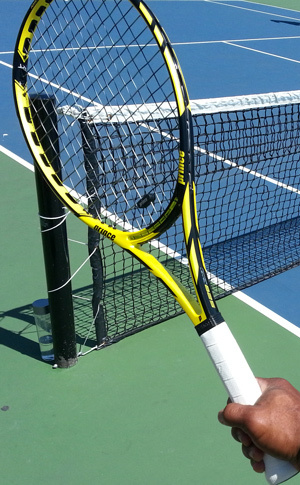 If you already hit with spin, this racquet won’t help you. In fact, it might do more harm than good. But if you have a full swing and a flatter shot, this racquet will definitely give you more spin, and more potential for pace/depth on your shots.